The decision is part of fresh measures to restore peace to the state bedevilled by banditry. 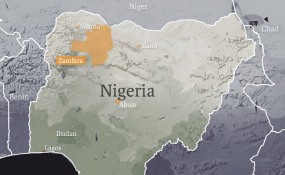 Hundreds of people have been killed or kidnapped by the bandits in Zamfara in the past year. There have been suspicions that the criminality is a fallout of the artisanal mining of gold and lead in the state. The new measure banning mining was announced by the Inspector General of the Police, Mohammed Adamu, while briefing State House correspondents on Sunday in Abuja. Mr Adamu said the government took the decision because it found out there was a relationship between the bandits and illegal miners. Mr Adamu also announced that "all foreigners within mining sites are to leave immediately."